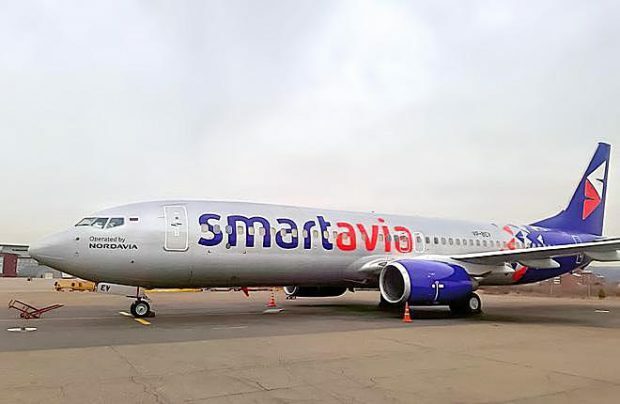 Headquartered at Arkhangelsk, recently rebranded Smartavia (legal name Nordavia-Regional Airlines) has taken delivery of its first Boeing 737-800 (registration VP-BEV), the largest type of aircraft in Russian regional carrier’s history. As expected, the newly delivered aircraft has now been painted in its brand new livery and airline is planning to schedule the new arrival this week. The previous operator of the 2005-built aircraft was Thailand’s NewGen Airways. By the end of this year, privately-owned Smartavia is to take delivery of five more aircraft: one B737-700 and four B737-800s. Prior to the latest delivery there were nine aircraft in the airline’s fleet: seven B737-500s and two B737-700s.